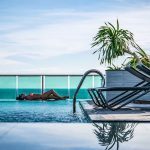 In recent times, the travel industry is being promoted by travel bloggers through social media, most especially on Instagram. And i know you are one of them! or atleast want to be one. Well if you aspire to be one, you are at the right place. Willingness to be a social media blogger isn’t the hard part, what’s troublesome is coming up with right content so people love you and follow you. The following instagrammers are new and thrive to be successful with their travel stories. Nathan is an Oklahoma based food and travel blogger on Instagram. He once embarked on a six month trip around Southeast Asia. And he has eaten different kinds of food in more than sixty countries over five continents. His Instagram feeds are filled with amazing photos of attractive and delicious food in the most beautiful corners of the world. Scrolling through these photos will brighten your day. He’s good at taking pictures of food from overhead, which works out well on his feed. 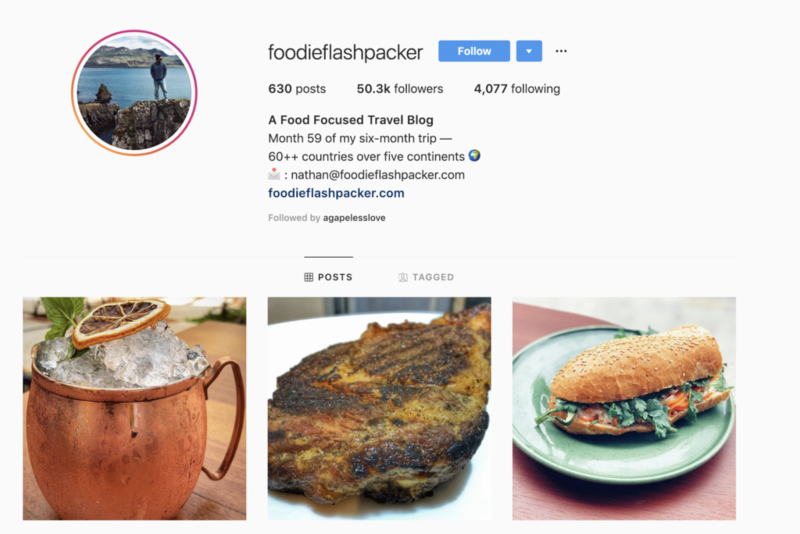 Foodieflashpacker has more than 50k followers and has posted 630 posts. You should follow Nathan on Instagram if you want to know where to find and enjoy new flavors during your vacations. Roshan Chugh is a writer and an entrepreneur. Following Roshan, adventures are always a delight because he is a travel addict. He always posts interesting, informative, fun and enticing travel feeds on his Instagram page. 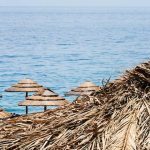 Each of his photos show the true artistic nature of the different vacation destinations which will make anyone think of hitting the road. In some of his feeds, he provides a great teaser for upcoming events in different locations around the globe. Roshan Chugh often posts about his favorite destinations which are Nusa Penida and Cinque Tera. This travel Instagrammer provides a feed with exciting photos from different locations around the world. In 2016, he left California with his family of four to take a cross-country road trip to see the land beyond his immediate location. The family spent time photographing and exploring the world. On his Instagram page, his feeds focus majorly on foods and travels. 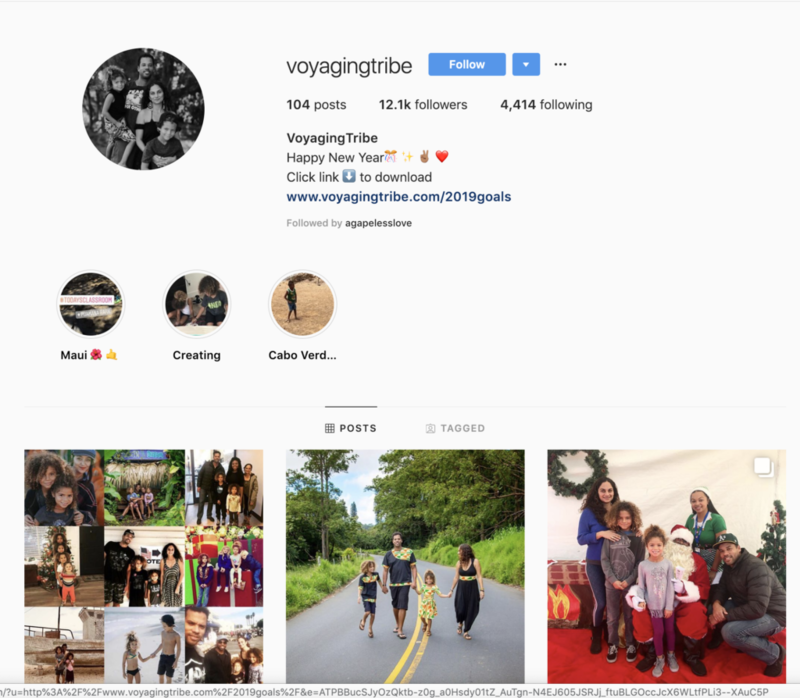 The feeds by @voyagingtribe are the true definition of achieving travel goals. The couple, Mikey and Sophie are based in Brighton in the UK. Mikey the husband, is a social media addict. He studied at the University of Illinois in the United State. And Sophie, the wife, she’s a pharmacist who loves Disney land. She was able to fulfill her dream of visiting Disney World Florida in the US. 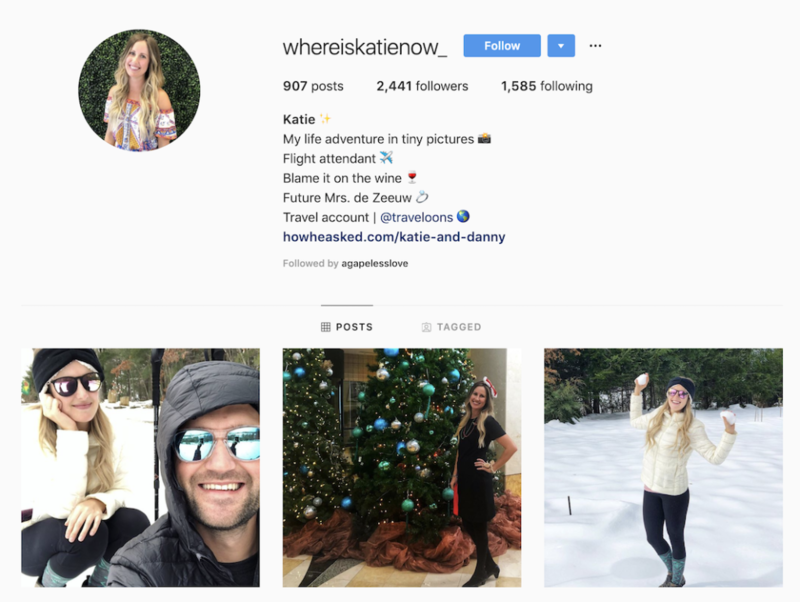 Mikey and Sophie are still working, but they love to document their travels and as well want to share their experience with others, most especially their family members and their followers on Instagram. 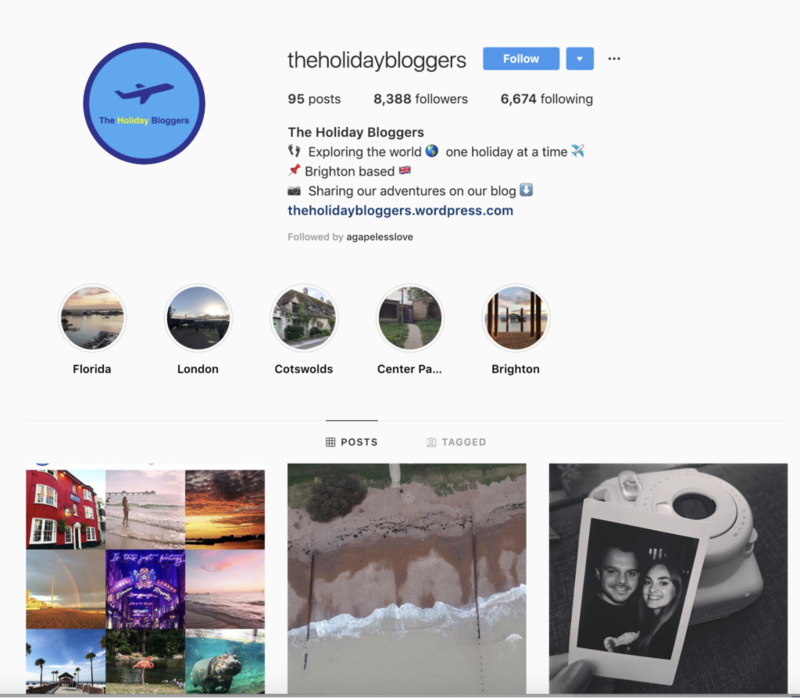 All of their photos and videos that are posted to their Instagram travel page @holidaybloggers are taken with their iPhones. This is an Instagram travel blog for the open-minded, spirited and conscious souls. It is a travel blog for those who are curious and like to find answers to every question. 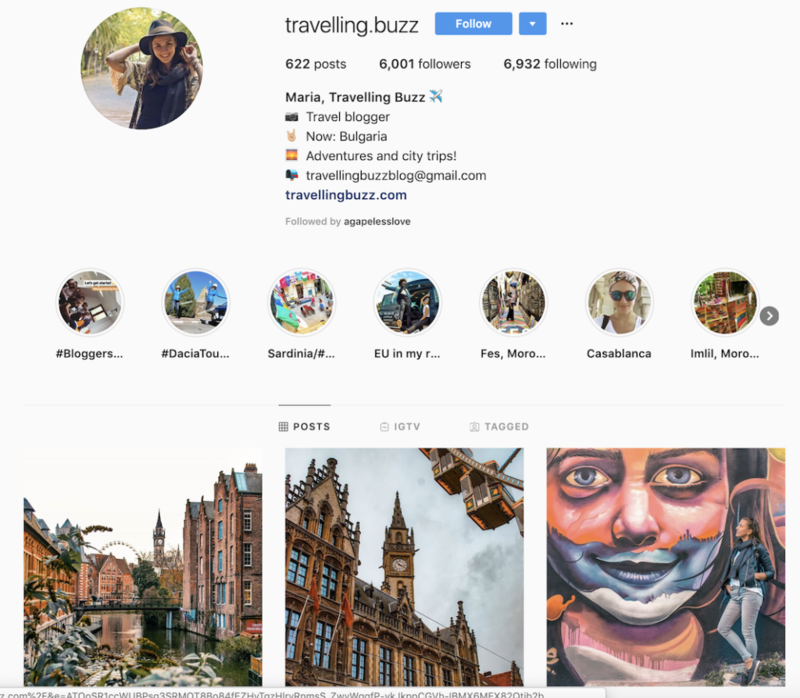 Maria has redefined the word travel through her insta stories and those on her blogs. Se has almost covered all of the europe. Following this account will give you travel inspirations which will enable to find happiness along the way. She is Not Lost simply started as a hobby, because of the interest in travel and photography. 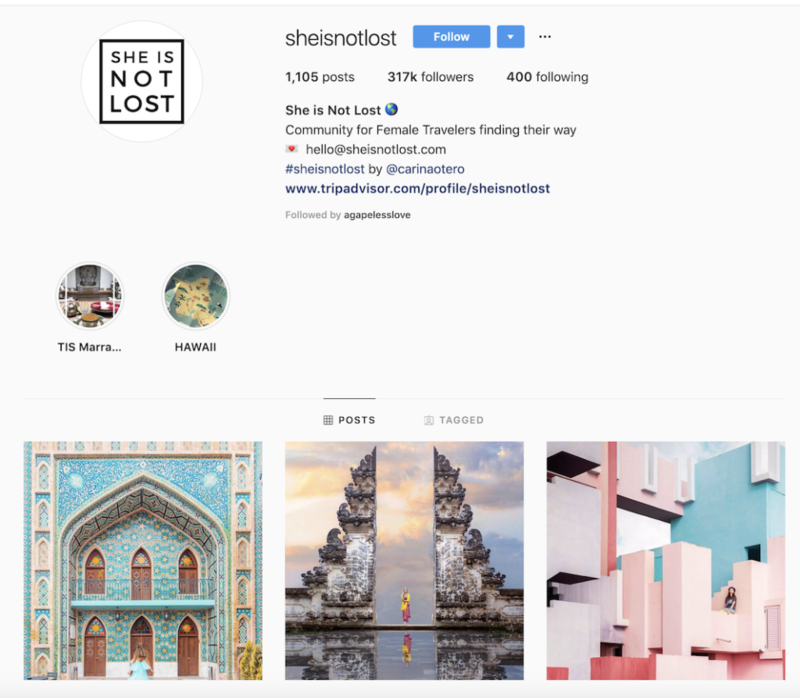 But this travel Instagram page is now a community for female travelers, helping them to find their way. It is one of the must-follow travel accounts on Instagram for females. It is a community for inspiring and empowering female travelers. They already have more than 317k Instagram followers and more than 1000 posts. Katie has been blogging for half a decade now and she’s still a hidden treasure. She doesn’t have a lot of followers on her Instagram account, but her photos are amazing. In one of her post on her blog site, she narrated her experience at Longji Rice Terraces in China. The Rice Terraces are one of the archetypal Chinese landscapes. She knows and understands travel, and she’s also good at keeping travel documents. Her travel photos usually come with big long, over-sharing stories such as ‘on being a celebrity in China’ and her trip to the Rice Terraces. Her Instagram account is just another means to her amazing travel writings and photos. Becky a 27 years old travel lover and a part-time travel blogger. She is an occasional solo traveler and has visited more than 36 countries. 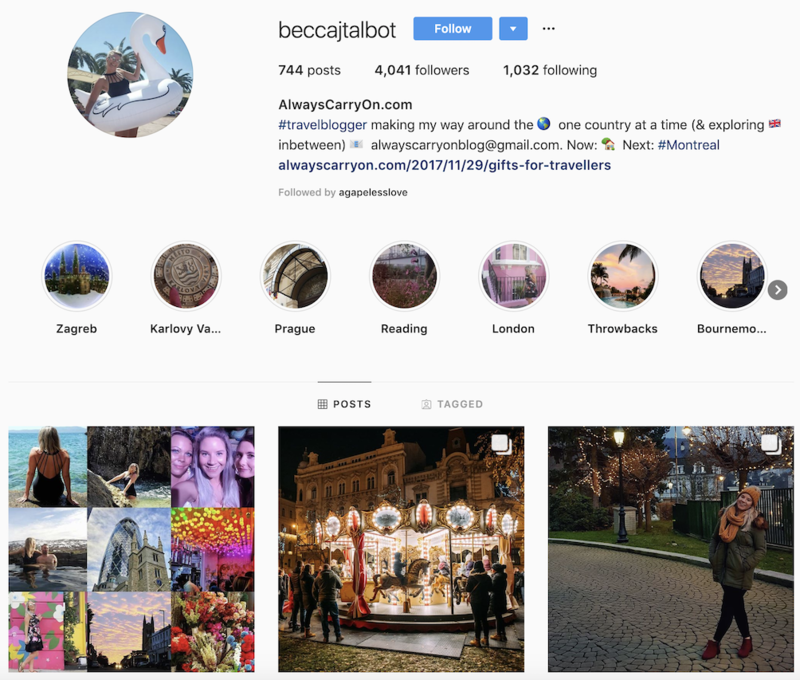 Becky shares her travel experience with her Instagram followers as she explores the world one adventure after another. She had traveled all over the globe, but Asia is her favorite destination. Becky had traveled more alone over the few years. She is always planning her next adventure which she often posts on her feed for her Instagram followers. 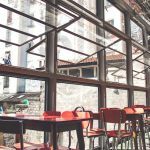 Penny Protopapa is a travel blogger from Piraeus, Greece. She thrills her followers on Instagram to her travels in Greece and other parts of the world. There she shares all her travel ideas, travel and packing tips. 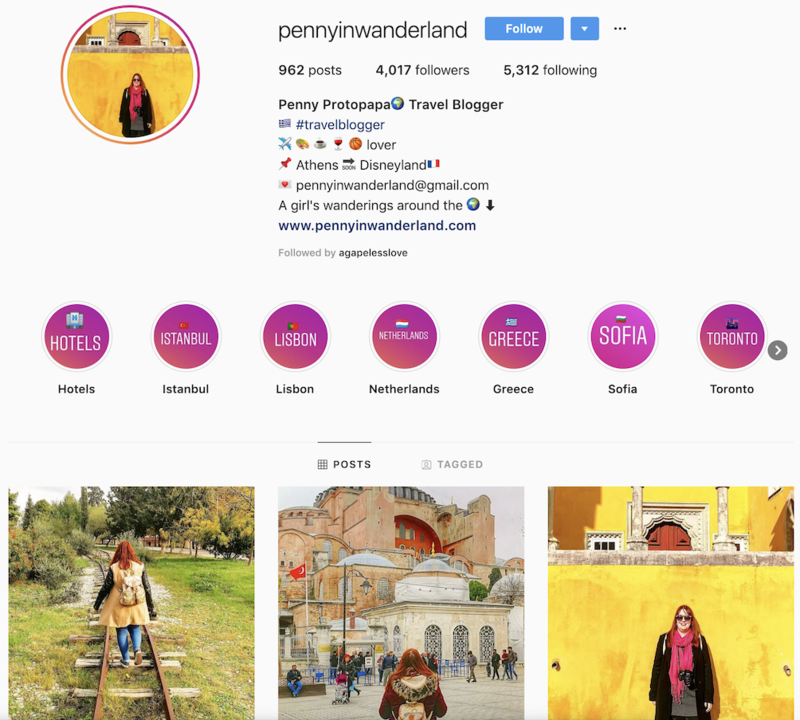 She created her travel blog ‘Penny in Wanderland’ to share her travel experiences, notes and also to provide useful travel tips to travel enthusiast all around the world. With her impressive photos, she inspires her Instagram followers to travel and meet our wonderful world. Over the last 15 years, Richa Fotedar a travel expert has worked relentlessly and a make a name for herself in the world of travel. She and her team provide handcrafted adventures and travel experience for their clients. To them a vacation should be more than just the hotel, food or the flight; it should be all-encompassing. 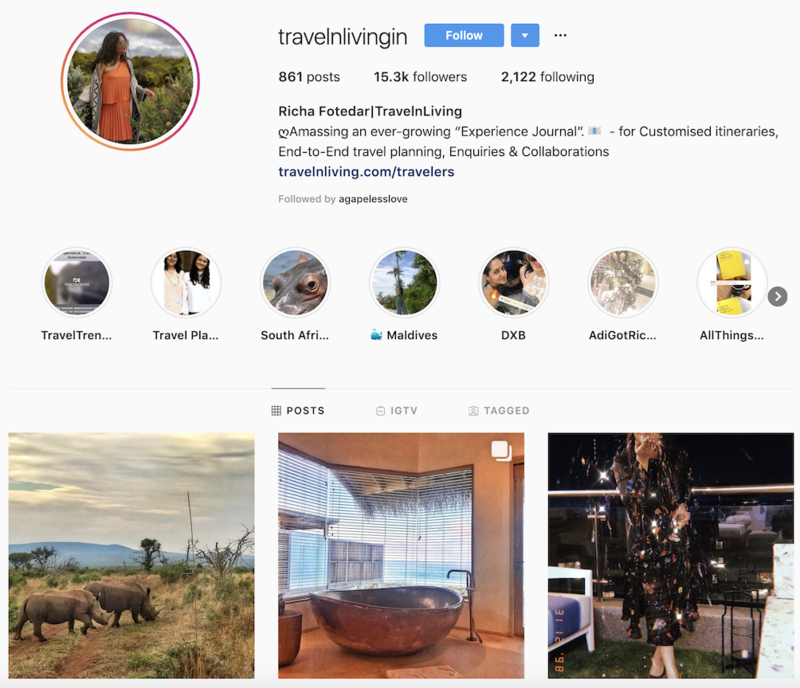 Follow @travelnlivingin for exciting ideas, stories, and travel experience as they explore the unlikeliest places on the earth. Katerina and Yinon were both born and grew up in Bulgaria and Israel respectively. But of them become a couple after they met in New York in the United States. They have both travelled to different places around the world and have gained a lot of travel experience. 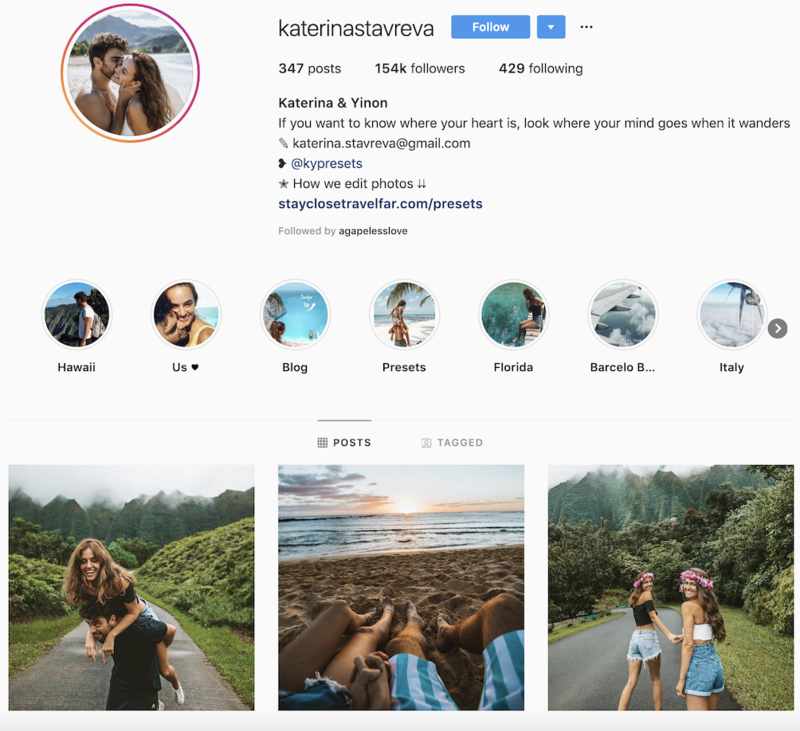 Travel Bloggers katerinastavreva are a must-follow whether you’re looking for planning tips for your next vacation or you just want some motivations to live an adventurous life. They provide their followers with daily inspiring photography, great stories, fun videos and budget travel tips. 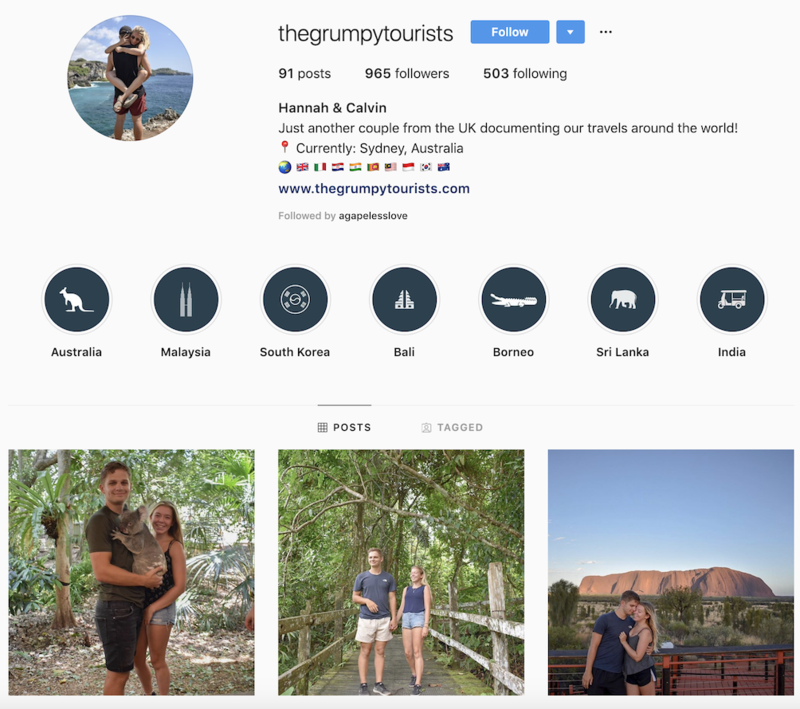 Hannah and Calvin are just another couple that likes to document their travels around the world. They are from the United Kingdom but both of them currently lives in Sydney, Australia. Their Instagram has lots of pictures to inspire you and travel insane. 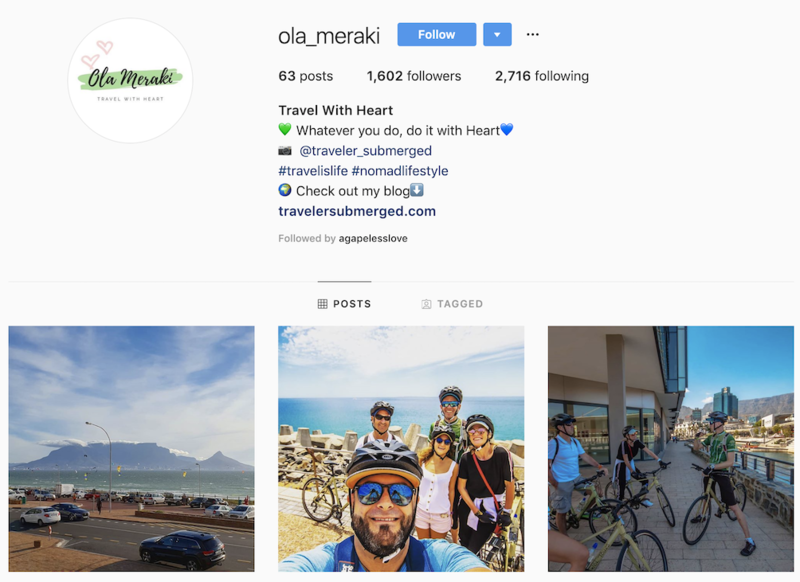 Also known as ‘Travel With Heart’, @ola_meraki is fast becoming one of the powerhouses of an Instagram travel blogger. 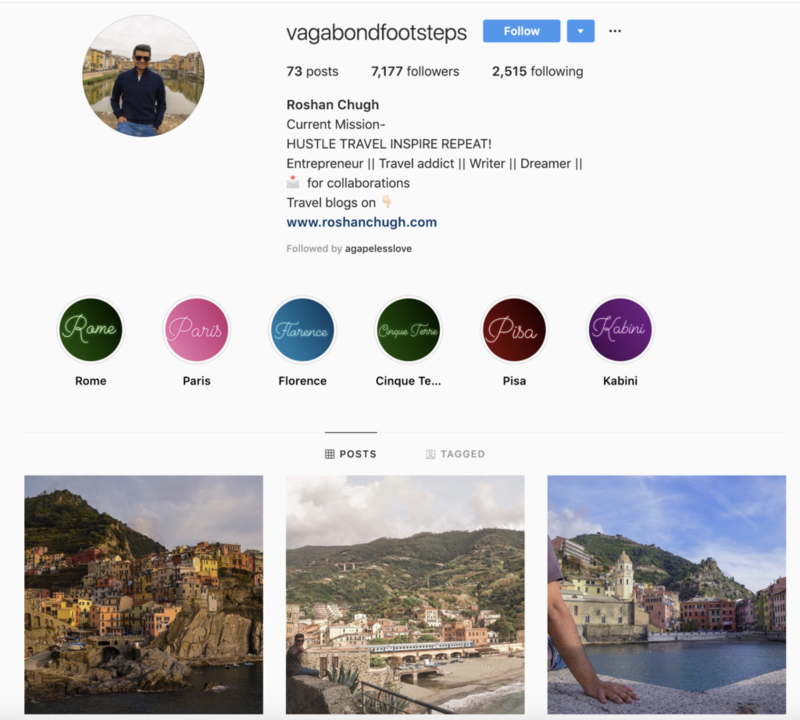 His feed is a perfect blend of what you can achieve in the travel world and Instagram. Becca Talbot is from Woodley, a suburban town in the outskirt of Reading in the UK. She is the owner of the travel blog alwayscarryon.com where she used to write about her travels and experiences both at home and abroad. Becca is also presently works at New Malden, a travel company in Surrey. In one of her popular post ‘30 countries before 30’ where she talked about the thirty countries she had visited before the turned 30 years of age. She travels around the world basically because she loves to see what the world is like outside the UK. Becca is the curious type and she likes to know something about everything. 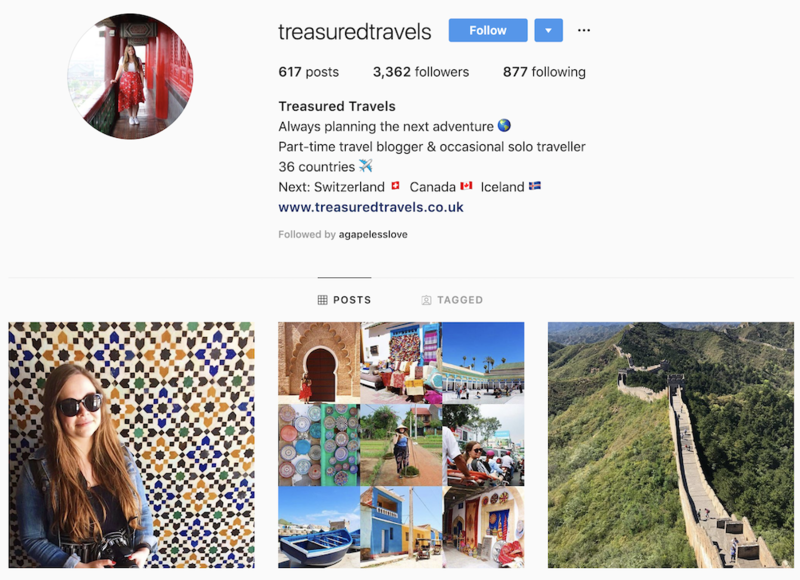 You can follow on her travel Instagram account as she takes you around the world through your mobile phones. Alicia Marie is an Art teacher, she teaches students from Kindergarten up to sixth grade. She has a passion for traveling and loves to see and do things around the world. During weekends and holidays, she travels on her teacher income. With this, she has mastered how to travel, see and do lots of things on a budget. 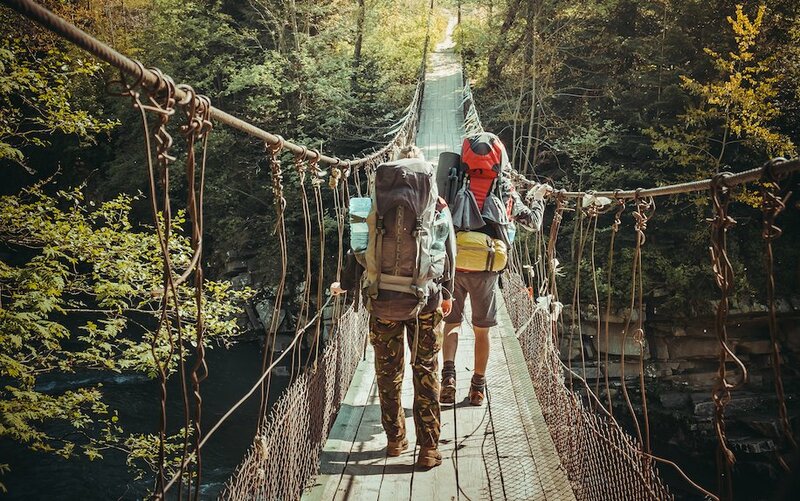 She offers advice to her friends and followers who are seeking their own adventures on a tight budget. 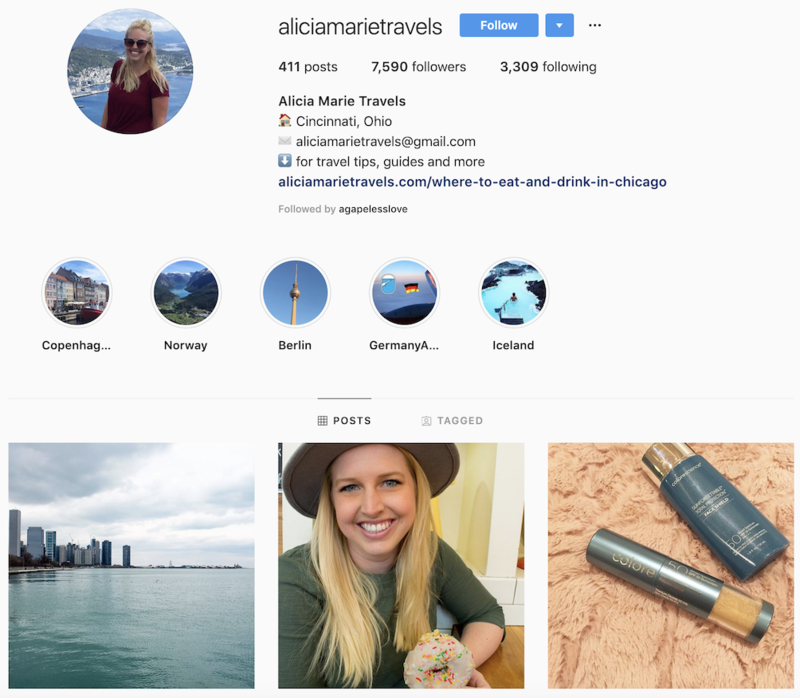 Follow her on Instagram @aliciamarietravels to enjoy her daily pictures and subscribe to her page to get new post directly in your inbox. 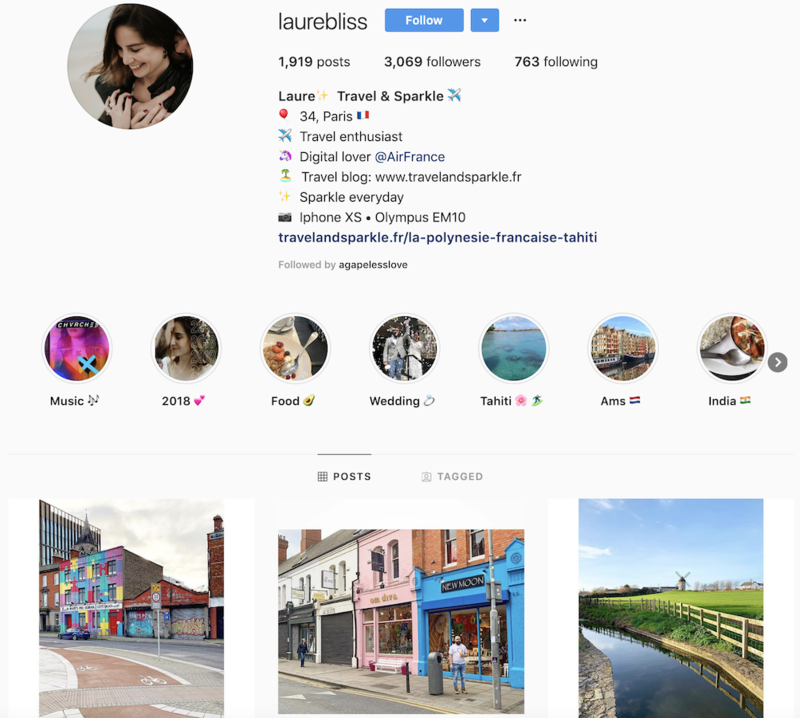 Laurel Bliss, age 34 is a travel enthusiast based in Paris, France. She posts beautiful and amazing travel contents on her blog www.travelandsparkle.fr. Her blog is in French, so you’ll have to understand a little bit of French in order to benefit from her travel tips and advice. Do remember to follow her stories, she has something great to share. 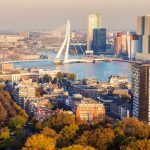 The above mentioned 17 must-follow travel bloggers on Instagram cut across the different areas of interest when it comes to travel destinations. Some of these bloggers lean towards adventure, kinds of travel, fashion, food, photography, fitness, holistic and the list go on. Like we said earlier, these bloggers are very distinct and they have been very helpful in the travel industry. 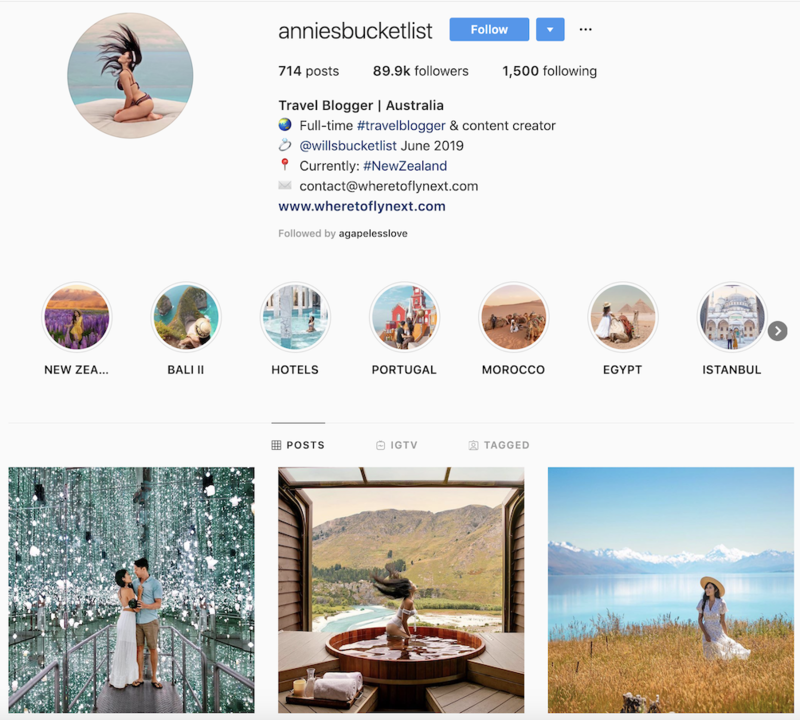 Most of these top Instagram travel bloggers use their feeds to tell the world about travel inspirations and foodie dreams. They provide you with the right information on where to go for your next adventure. They recommend the best place to stay, what to eat and give you the tips on how to enjoy your stay like a local. 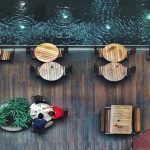 The social media can no longer be ignored as it is used to attract people to the best restaurants, hotels, and islands in the world.